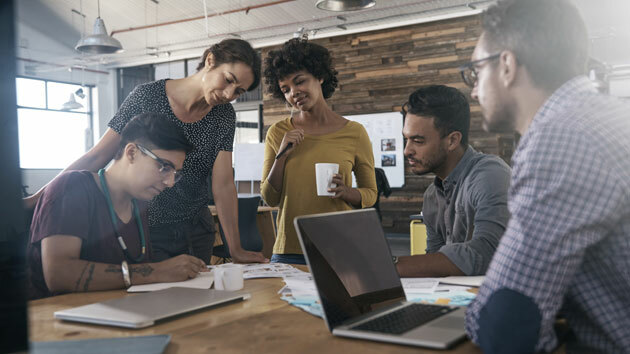 In today's dynamic, data-heavy production environments, nothing is more critical than how fast and efficiently you can share files with your creative team. Yet for many media creatives, even those now regularly delivering 4K+ content, the shared storage you count on daily to manage and move your media is simply not up to the task. The hard part? Deciding how and when to upgrade existing systems without impacting the already daunting work ahead. While it might be tempting to ignore the problem indefinitely, that's never advisable. (Where is that clip again? Cue obligatory wide shot of a hard drive graveyard.) Disastrous, costly gotchas lurk within outdated or inefficient shared storage pipelines that can't meet the breakneck speed and collaborative demands of high-resolution digital production. One way to prevent those gotchas from crippling current and future projects is to step back and take a wider look at how robust your existing workflow really is. Are you managing permissions and creative review as well as you'd like? Is your archive instantly accessible to those who need it most? Can you find the precise, version-specific clip when you need it? Is everyone in your group on the same page? Adopting an integrated, open workflow removes those pain points immediately, says Hartmann, by indexing content from any number of sources, making proxies and seamlessly managing your media for you. “We routinely hear customers say, ‘We have a mess on our hands and we don’t know where anything is, especially stuff we shot two years ago.’ Organization and efficiency in the workflow, from ingest to archive, should be your number-one priority when looking at a shared storage system,” he says. “That’s why we see the opportunity of shared storage, which in the past few years has become a commodity, as one best handled by a true workflow server that assists in the efficiency of how you create your media from your camera all the way through to the archive. It lets you get back to the work that you love." With several popular Webinars about similar topics to their credit, Hartmann and Cooper will present a series of one-hour workshops at NAB that explore these mission-critical concepts in much greater detail with show attendees. Sessions during the ProMAX Digital Salon include “How to Prep your Media in a Shared Production Environment,” “How to Edit 4K+ Without Breaking the Budget,” and “How to Create a Workflow your Team Will Actually Use,” and will look at a wide range of issues, from the best way to backup raw footage and the importance of real-time replication throughout the edit, to the new workflows now possible with NewTek’s emerging NDI format. Says Hartmann, “We want to help folks understand the fundamentals of a truly robust media workflow. It isn’t just shared storage but is also ingest and asset management and backup and archive. It’s all these components put together seamlessly with the features that make it easier for creatives to do their jobs." 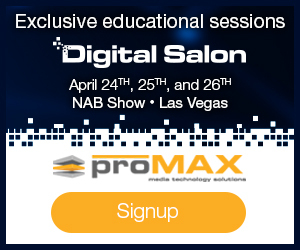 To learn more about the ProMAX Digital Salon and register for one of the five sessions uniquely tailored by Hartmann and Cooper to address various media workflow environments, click here.